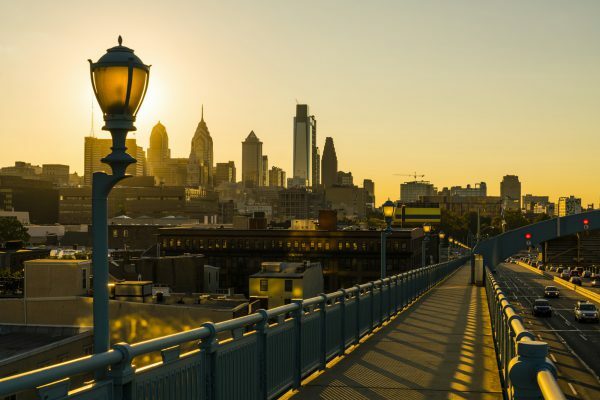 Widely lauded for its booming entrepreneurial scene and the phenomenal benefits it offers to its businesses, Philadelphia is holding strong as one of the top cities for employers and employees alike. Accommodating business of all sizes — from major corporations through freshly launched start-ups — as well as industries — from pharmaceutical through tech, the job scene is diverse and rapidly evolving. Add in the presence of major universities and the proximity to other big cities like New York and DC, and you realize you’re at the nexus of business innovation. While these businesses have many needs, a universal one is for words. From marketing copy and press releases through internal announcements and product listings, there are opportunities to flaunt your skills in every form of writing. Equally important are the opportunities to learn and grow into content types you’ve always wished to pursue. Let’s dig into what exactly it looks like to write professionally in the city of brotherly love. You can make a livable wage as a writer in Philadelphia. Glassdoor reports that a writer based in Philadelphia can expect to earn an average of $49,990 per year. Copywriters earn about $55,772 per year, while content marketing managers make $78,110 per year. The numbers above are annual salaries, but there are even more opportunities available if you factor in part-time or freelance work. Whether you are a newly minted writer or a seasoned industry veteran, or if you’re looking to grow your writing chops in a new direction, there are opportunities for you in Philadelphia. What does the future look like? Philadelphia ranks 7th in projected tech job growth among US cities and among the top 25 in several other fast-growing sectors. It’s also been outdoing major competitor cities — like NYC — for job growth while maintaining a relatively low cost of living. Philadelphia is an educational powerhouse, standing as one of the largest college towns in America and home to four of the top twenty colleges in the country. Of the 3 million people in Philadelphia’s workforce, approximately 34.7% have at least a bachelor’s degree; this number is above average among major cities. Philly is a city that values formal education. In fact, Philadelphia houses an Ivy – University of Pennsylvania – alongside other major institutions including Temple University and Drexel University. A short drive gives you access to schools like Swarthmore College, Haverford College, Bryn Mawr College, and Villanova University. With private and public schools available, there are options for students of all means and interests to advance on their desired track. The best part is that Philadelphia schools are not limited to full-time attendees. There are courses in every subject matter, including ones geared towards writers. Philly Writers’ Group is the largest writing group in Philadelphia, and it meets once a month to facilitate community among Philadelphia-area writers. There are dozens of other writing-oriented Meetups, with a strong contingency oriented around creative writing. These groups encourage networking and even coworking. Regional writers’ groups are alive and well here, such as the Rittenhouse Writers’ Group that runs quarterly fiction writing workshops. Search for writers in your neighborhood to find local connections and get inspired by speakers. Local universities hold writing groups and workshops that are available to the public and/or non-credit seeking students. UPenn has a great list of reading and writing groups. It’s worth checking out the schools closest to you, to see if they offer similar opportunities. You don’t need to pay tuition to reap the benefits of proximity to major establishments. Conferences are fantastic opportunities to connect with others and learn, whether it’s networking with other writers and sharpening your craft, or discovering opportunities and identifying directions for your growth as a writing professional. Philly Tech Week, May 3-11, 2019 — The spotlight on this conference is not writing, but this event stands as a huge opportunity to land gigs or even a full-time job while also plugging in to the companies and trends pushing the region forward. Philadelphia Writers’ Conference, June 7, 2019 — Founded in 1949, this is the longest running writing conference in America, and one of the most well-respected. Digital Summit, July 24-25, 2019 — This conference is huge in the digital and content marketing spaces. Seth Godin, Steve Wozniak, and Gary Vaynerchuk are among the conference alums. Digital Pharma East, — September 17-20, 2019 – This stands as the premier pharmaceutical event in Philadelphia, although it is not the only one. If you’re interested in health-oriented writing, this is a great place to dive into industry trends and find jobs. Philadelphia Writing Workshop, November 23, 2019 — A fantastic opportunity for continuing education or even pitching a literary agent, it’s critical to sign up ASAP as enrollment is capped at 200. Philly Writers’ Workshops, check website for updates. With advice on everything from writing a novel through screenplays, and opportunities to workshop your own work, there is something for everyone. Philadelphia Stories, check website for updates. This group sets up workshops of its own while also being in-the-know about other ongoing workshops. It’s worth checking out their website, both for workshops as well as for any other writing support needs you might have. Kelly Writers House, check website for updates. UPenn’s Contemporary Writing Institute hosts workshops for writers while also inviting speakers, ranging from famous poets through literary scholars. Greater Philadelphia Wordshop Studio, check website for updates. This is perhaps the best local entry-level opportunity, as this group prides itself in helping nonwriters find their voice. WriterPhiladelphia, check website for updates. This group offers workshops and other resources geared specifically towards adults writing nonfiction. Coworking spaces, including one of four WeWork locations, Industrious Philadelphia, City CoHo, and 1776. Coffee shops, with the local go-to being La Colombe, the chain of premium coffee roasters headquartered out of Philadelphia. Backyard Writers’ Group – This group sets up meetings quarterly in backyards, for readings and shared commentary. Working Writers’ Group – Several published writers, who are well-connected within community arts efforts, lead this group. Landsdowne Writers’ Workshop – Multi-hour small group sessions, split between writing and feedback, and open to all forms of writing. Babel Poetry Collective – centered at Temple University, this group does also include musicians. Writers are in greater demand than ever, but as we’ve seen here, the “starving artist” stereotype need not apply. Even better, getting your start in one style of writing need not mean you remain pigeonholed in just one industry or style. The best part about being active in a business scene like Philly’s is that, with such a wide range of company sizes and industries involved, you are likely to find a niche well-suited to your professional goals. We’ve highlighted some premiere local events geared towards writers and even towards non-writers (but with jobs as one of the topics), but these lists are not comprehensive. Searching for Philly area events and even keeping an eye on events at the Pennsylvania Convention Center as well as other major event spaces can help you keep a finger on the local business pulse, so you can end up where you want to be. WriterAccess — Hey, that’s us! We’re Boston-based but work remotely. We provide writing services to 25,000+ customers powered by 15,000+ freelance writers, editors, content strategists and translators — and we’re always on the lookout to grow those numbers. We’ll be expanding to five new countries over the next few months, which means we’ll have even more opportunities available. If you want to join, you should totally APPLY NOW! Scripted — This is another platform for finding work as a writer or copywriter, although it is a bit more restricted in the offerings it provides since it is marketing-focused. Content Runner — Often focused on SEO and other digital marketing specific content, this platform has over 2,000 US-based writers. Guru — This platform helps match both writers and translators with the businesses that need them. Join the Ranks of Some of the Best Writers in the World! Considering that both the Declaration of Independence and the Constitution were written and signed here in Philadelphia, you are following in some pretty big footsteps. It didn’t end with our Founding Fathers, either. Ben Franklin, Edgar Allan Poe, Walt Whitman, Ezra Pound, William Carlos Williams, James Michener, and John O’Hara are among the major writers associated with the greater Philadelphia area. Best of all, you can hire all the best Philadelphia writers here at WriterAccess! Andrea wants to experience as much of this world as humanly possible. She loves to eat – whether it’s cooking at home or trying interesting restaurants, losing her taste buds would be a huge personal tragedy. Travel ranks high on her list of things to do, though it gets expensive quickly. Movies, books, art, nature – you name it, if there’s a story to tell then she wants a piece of it.